Maari Ba by Sarah Geronimo is now available here in your opm songs page! Check out the video of this song by Sarah Geronimo. This is the lyrics music video of the song released by vivamusicgroup1 on their YouTube Channel, June 29, 2015. 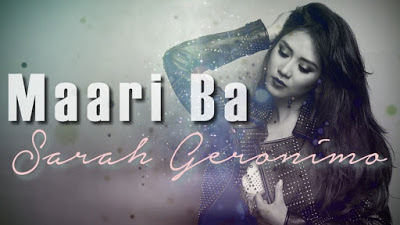 The Official Lyric Video of Sarah Geronimo's song "Maari Ba", included in her EXPRESSIONS album. Also available for download on iTunes, streaming on Spotify and in your favorite digital music stores. Let’s support opm songs as we keep on listening to their music and sounds. Looking for Skin Whitening and effective beauty cosmetics? Shop now at NWorld Shop by Cristal & Jon.